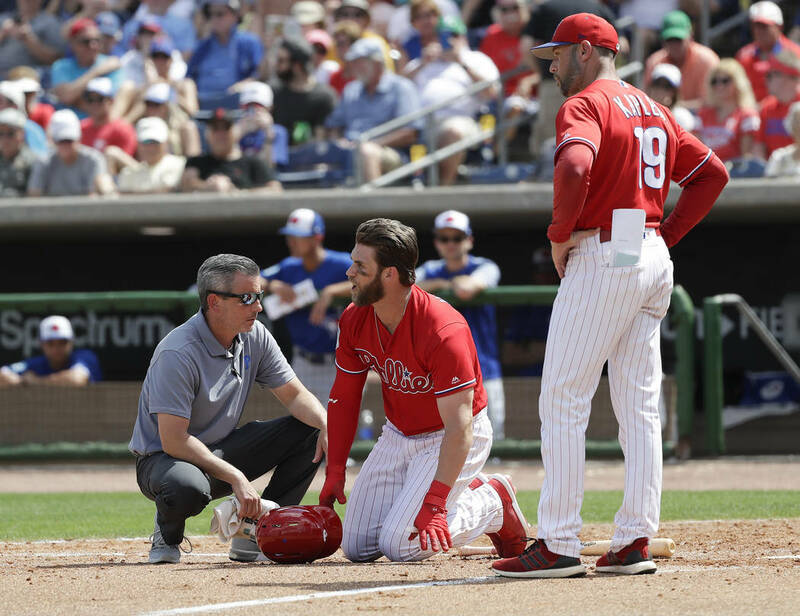 Bryce Harper sat out the Philadelphia Phillies game against the Houston Astros on Saturday, saying he’s “a little sore” one day after getting hit by a pitch and bruising his right ankle. 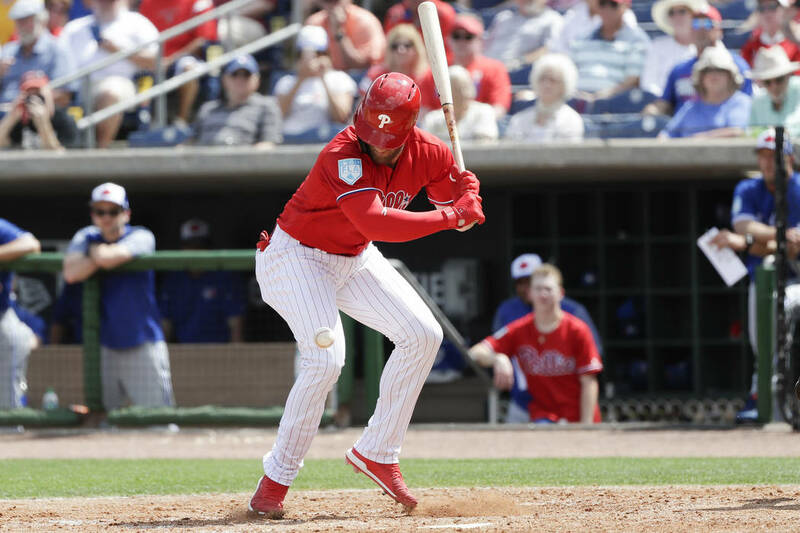 CLEARWATER, Fla. — Bryce Harper sat out the Philadelphia Phillies game against the Houston Astros on Saturday, saying he’s “a little sore” one day after getting hit by a pitch and bruising his right ankle. X-rays were negative and Harper is listed as day to day. He was struck by a 96-mph fastball from Toronto rookie Trent Thornton in the sixth inning of Friday’s game. 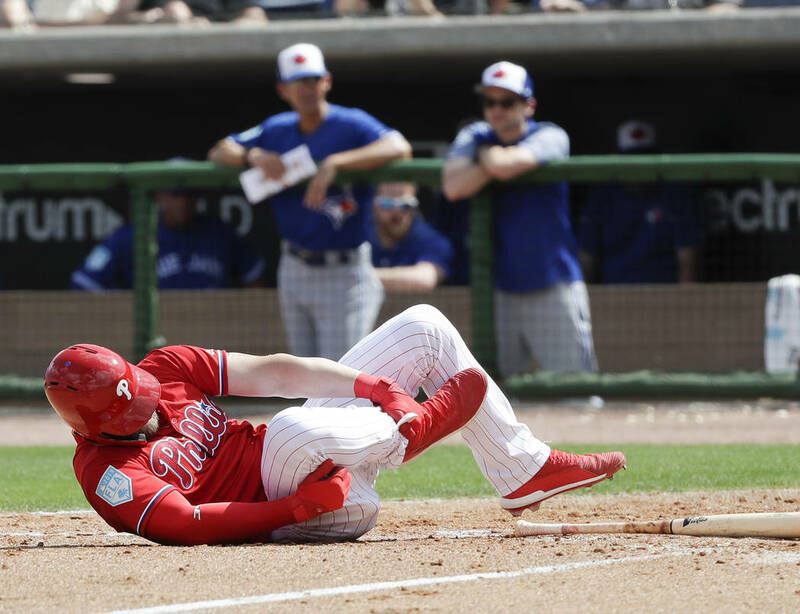 “The first time I really got hit on the ankle bone,” Harper said. He’s 0 for 5 in 10 plate appearances in four exhibition games.